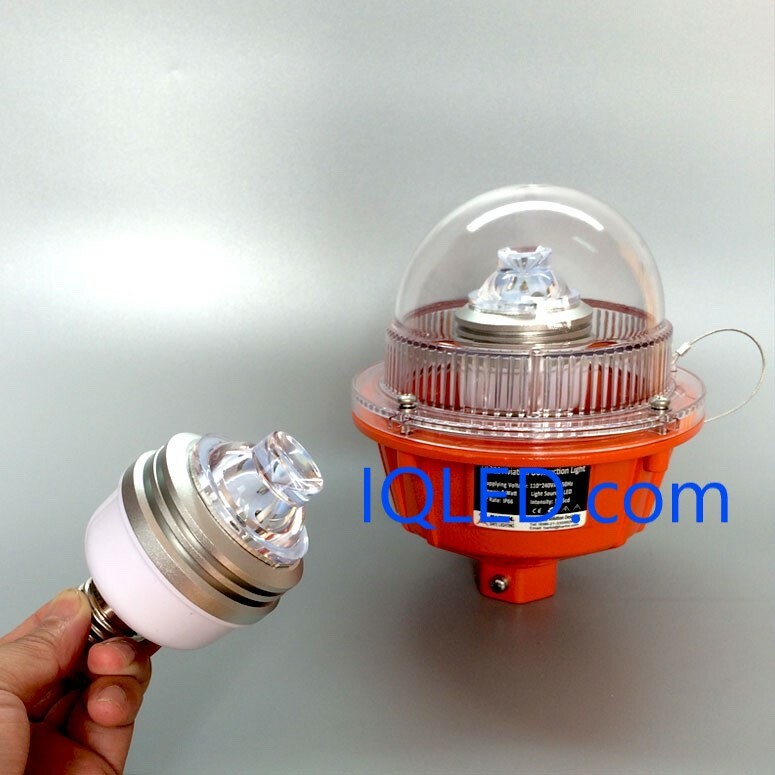 E27 LED lamp for low intensity aviation obstruction light, LED Bulb Obstruction E27 aviation bulb E27 screw. 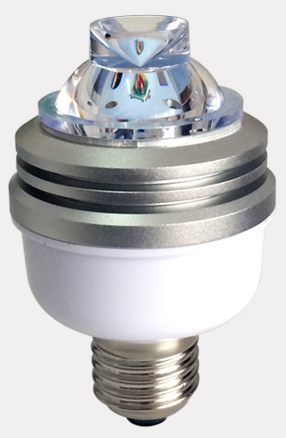 E27 aviation bulb which is especially designed for obstruction lights. Its basement is E27 screw. It is quite easy for replacement in case any bulb fails. The intensity of this bulb can be 10cd or 32.5cd. 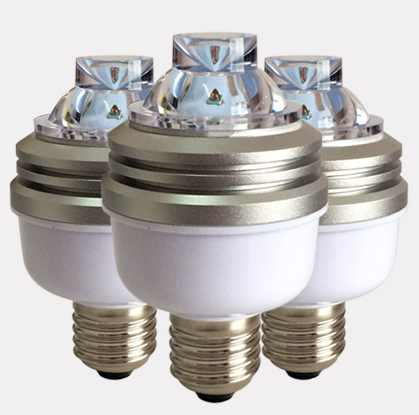 It can be widely used for obstruction light or replacement of common bulb(incandescent bulb). Its advanced high-power LED with optimized optical design is able to minimal power consumption and maximizes light intensity based on only one single LED. 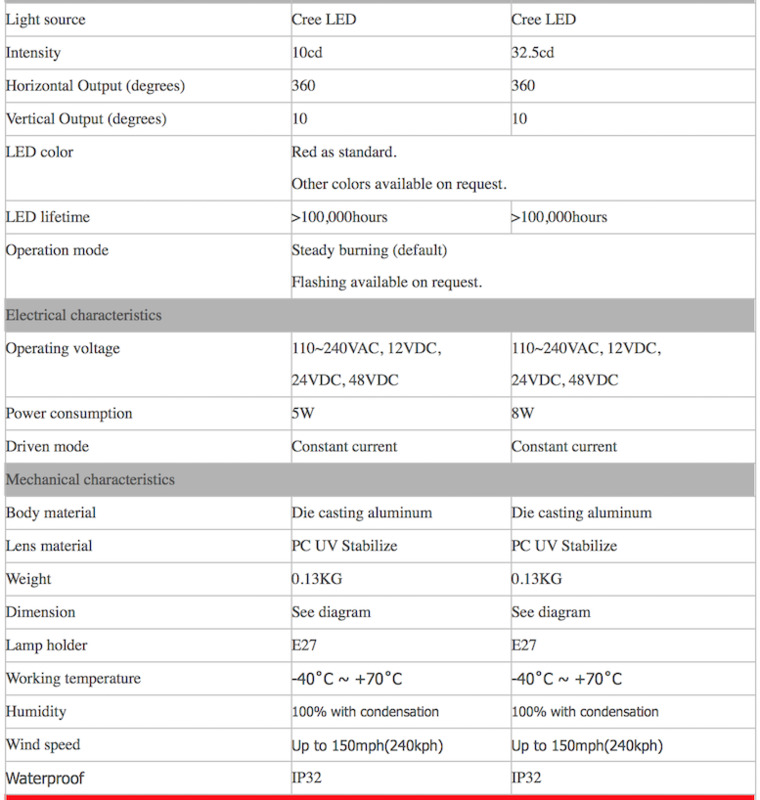 Energy saving comparing to incandescent lighting technology. Meanwhile increasing safety thanks to low failure LED technology. ➤ Light source uses America Cree brand LED with high power. It has extremely high light efficiency and saving engery. Single lens can reach optical requirements, and reduce light pollution so as to improve light efficiency. ➤ It is drived by LED constant current to extend LED life. ➤ The base is made of aviation aluminum. Its surface is with special spray process. It is light weight and corrosion resistance. ➤ E27 bulb basement. It is easy for installation/replacement. Free of maintenance. ➤ Option function: light sensor for day/light operation, steady burning or flashing etc.